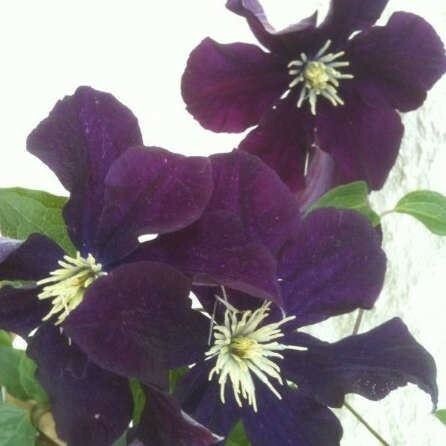 Clematis 'Warsaw Nike' or 'Warszawska Nike' as it's proper name states, has very rich, dark coloured blooms, flowering profusely in late summer. The deep purple-maroon, 15cm (6in) blooms of this cultivar, raised by a Priest in Poland, are best displayed against a light background. Very free flowering and hardy, this deciduous clematis comes highly recommended and has been issued the RHS Award of Garden Merit. It is best planted in moist but well-drained soil, and grows to an ultimate height of 2.6m to 4m in 2-5 years. Supplied in approx 2 litre containers.